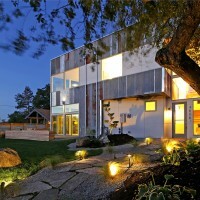 Design/build firm Dwell Development have recently completed their net-zero ‘Reclaimed Modern’ home in Seattle, Washington State. 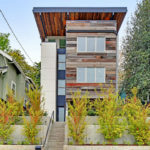 Nestled in Seattle’s Columbia City neighborhood, the eco-friendly home proves the combination of modern design and pragmatic necessity is the future of development. 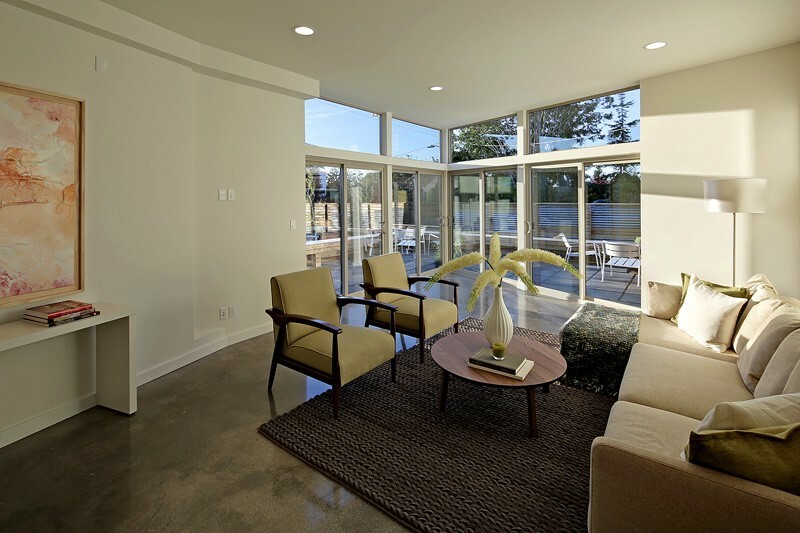 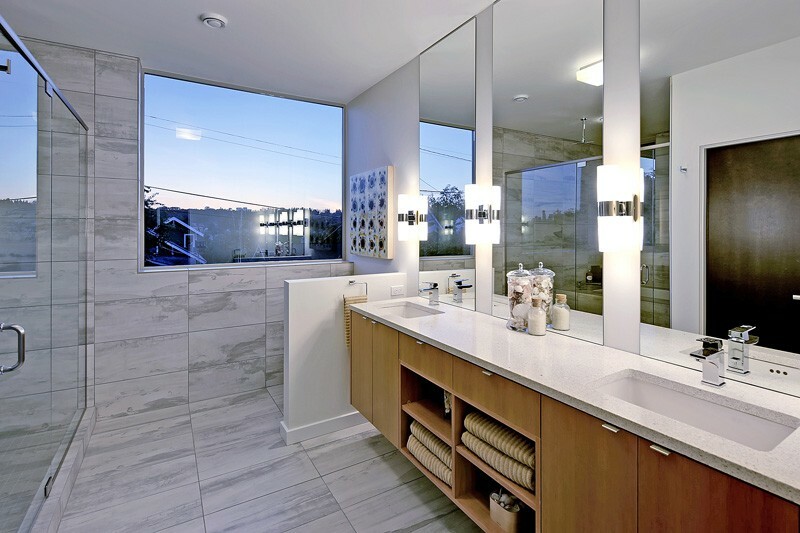 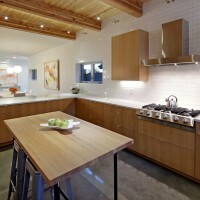 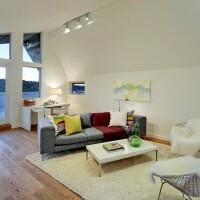 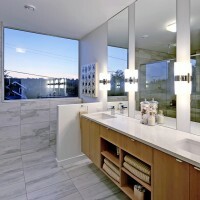 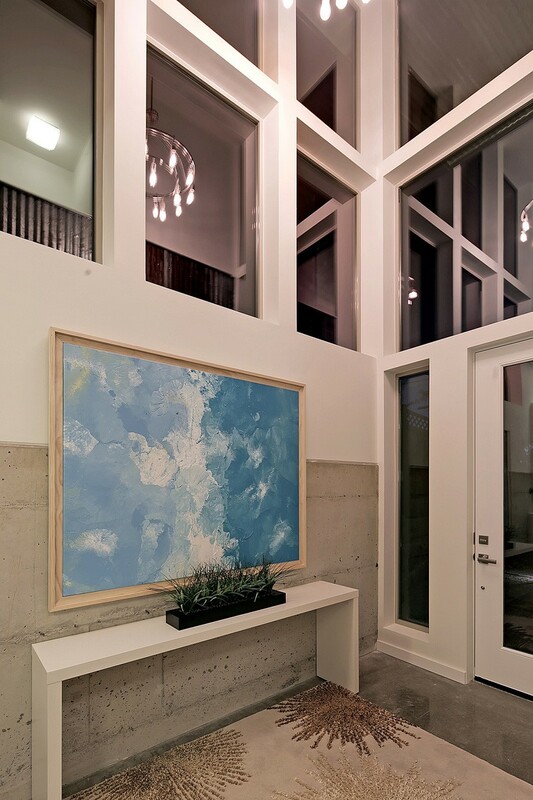 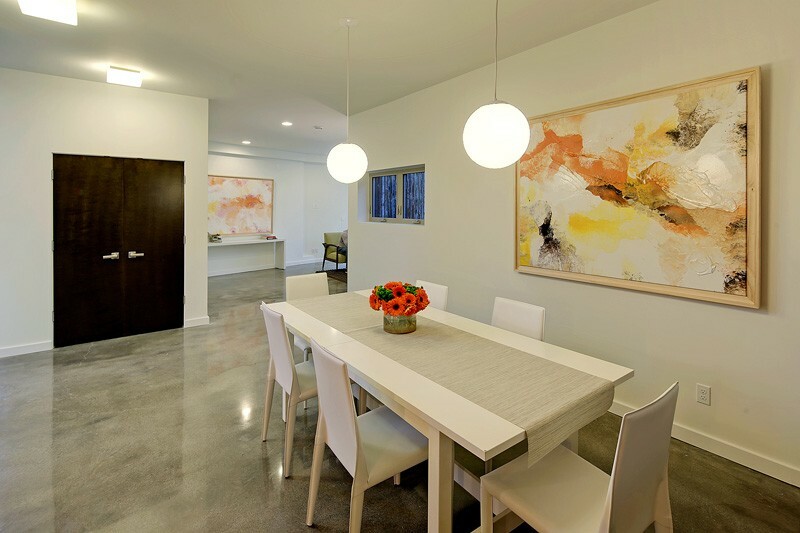 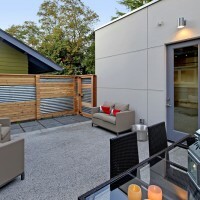 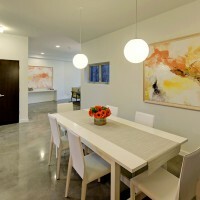 Every home built by Dwell Development is designed with the goal of net-zero energy use in mind. 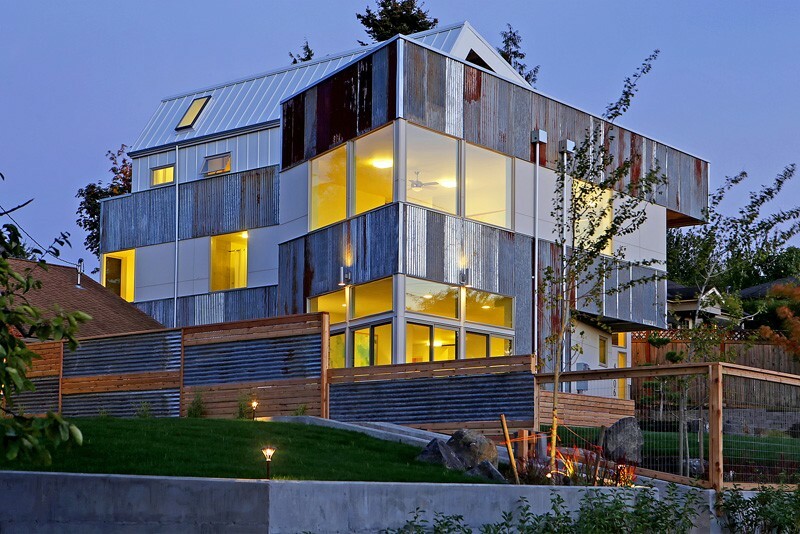 The Reclaimed Modern home embodies that mindset with the use of repurposed building materials and energy-efficient technology. 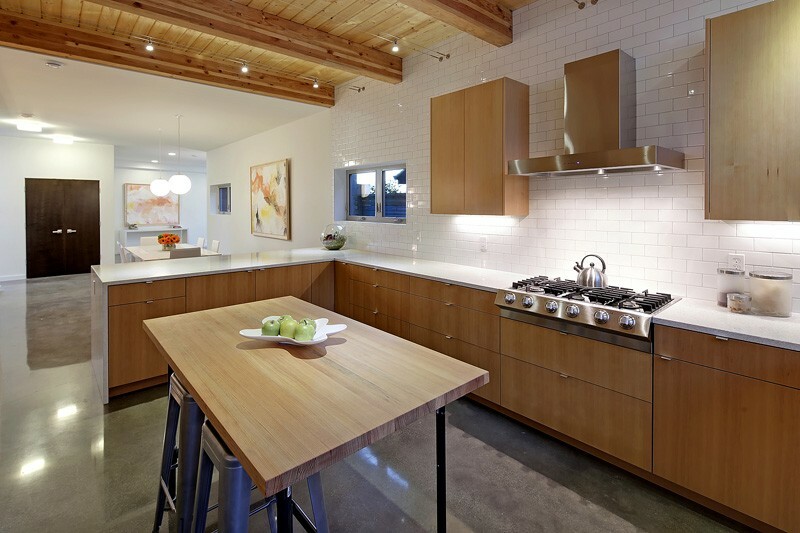 “We use a holistic approach at Dwell Development similar to the farm-to-table idea, where we incorporate local materials into our homes that are natural, recycled, or repurposed. 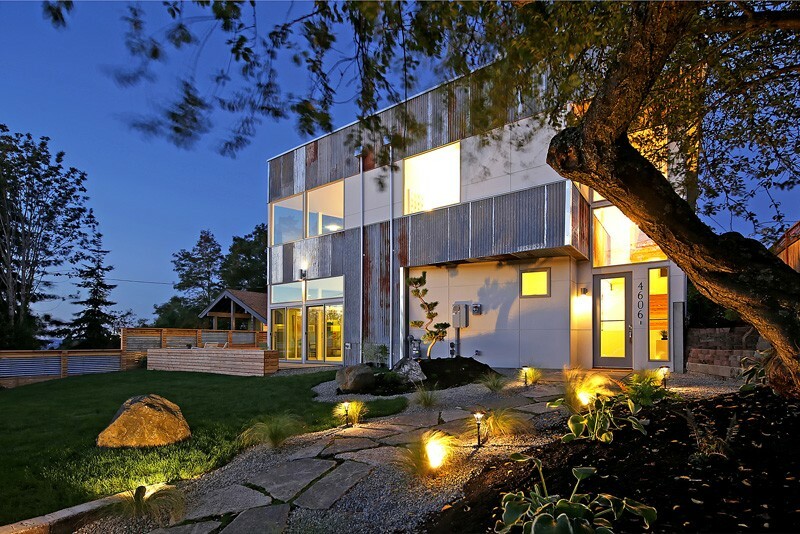 It’s about making conscious choices,” says owner, Anthony Maschmedt.. With materials cultivated from its surroundings, this home lives true to the firm’s principle belief of conservation. 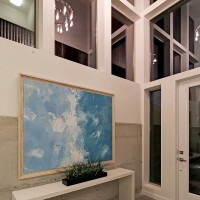 The pathway leading up to the 3,140 square-foot three-story home is made out of repurposed concrete from the public sidewalk removed during construction. 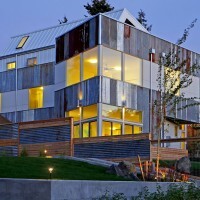 The home’s exterior was built using salvaged wood and corrugated metal from a deconstructed barn in the Willamette Valley. 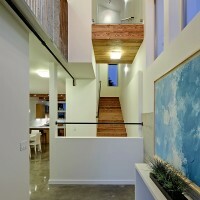 Practicing the Dwell Development philosophy, no material is wasted. 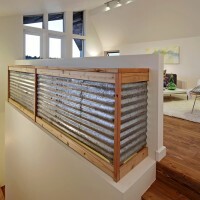 The barn wood is incorporated into the roof soffit hovering above the deck and Lake Washington views, while the metal is used for the siding and fencing. 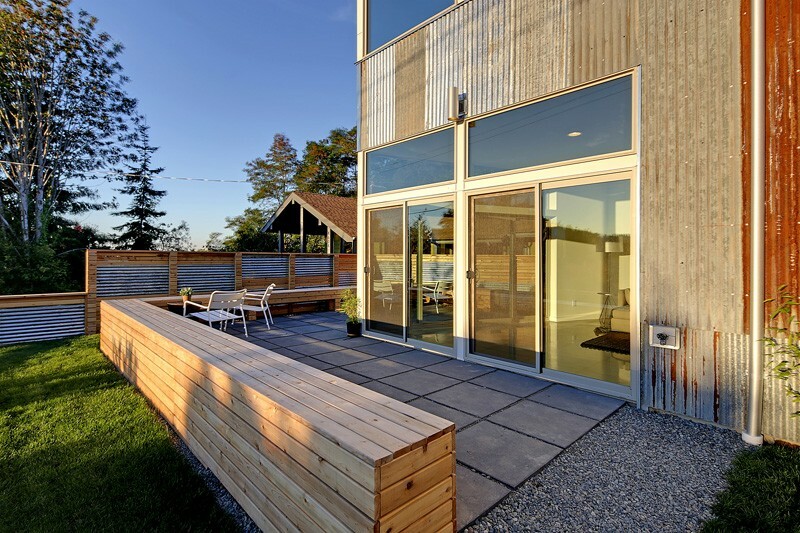 Abbey Maschmedt, the Design Project Coordinator at Dwell Development, says “We have always used a lot of materials with high recycled content, but the idea of actually taking and reusing materials from old buildings slated for demolition was the next step – a natural evolution.” The organic rusty hue coupled with the modern structure of the home creates an instant patina and a compelling addition to the vibrant urban neighborhood. 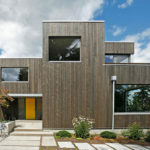 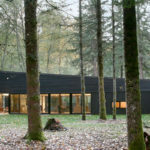 The exterior of the home is coated with Enviro-Dri, an applied weather-resistive barrier as opposed to traditional house paper, that seals the exterior of the building against moisture intrusion, protecting the home from the harsh Pacific Northwest climate. 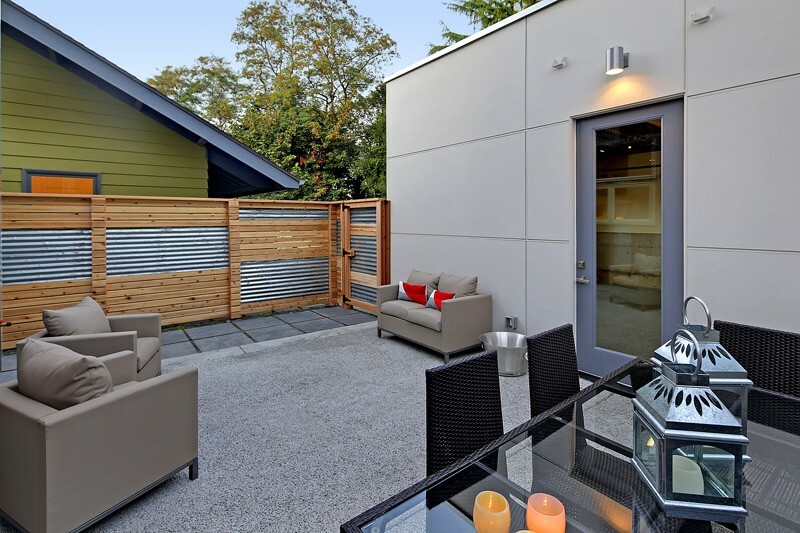 The pervious concrete keeps rainwater onsite, recharging the ground water and lessening the burden on the storm water infrastructure. 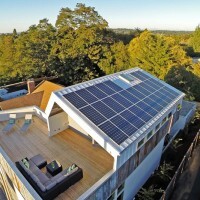 Despite Seattle’s seemingly grey reputation, the sun is a valuable energy resource that did not go unused. 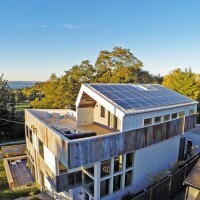 Maschmedt’s team installed solar panels to facilitate net-zero living. 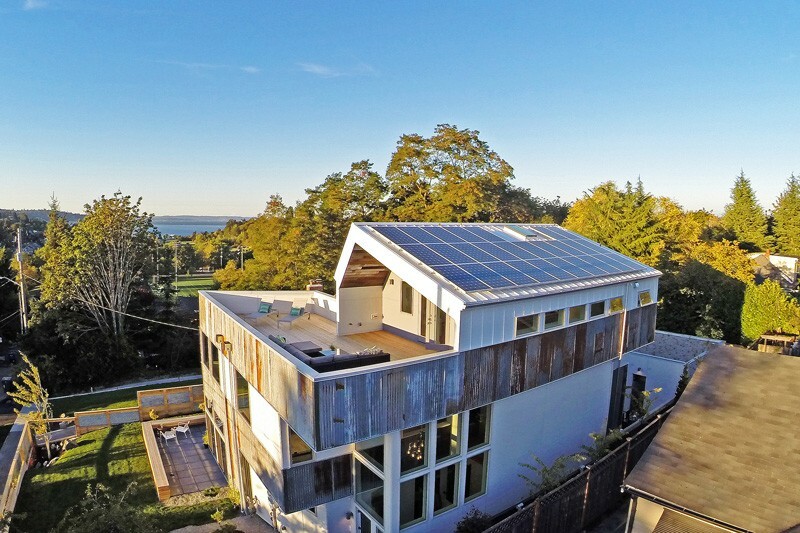 The solar panels convert energy to usable electricity, offsetting the homeowners’ energy use and reducing their carbon footprint. 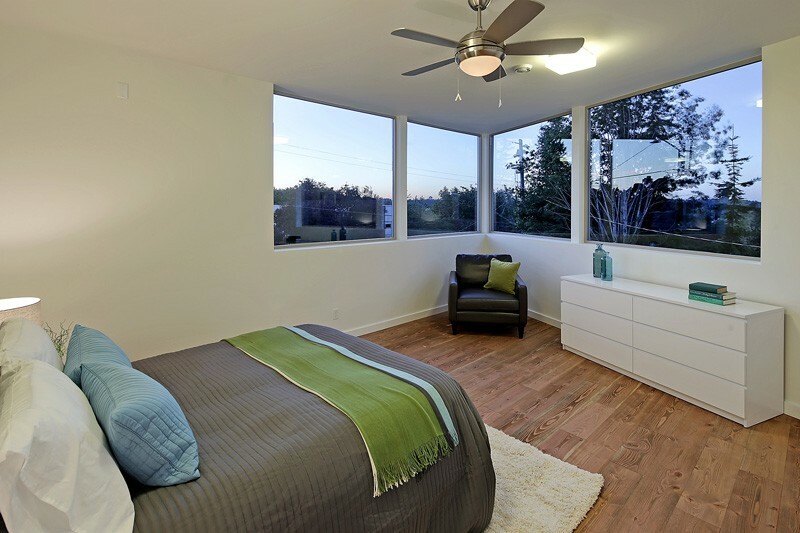 The home’s triple pane windows keep the heat inside while the Heat Recovery Ventilator provides constant fresh air. 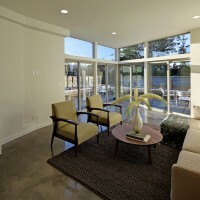 The sustainable technology keeps energy usage low while providing a healthy, comfortable environment for its inhabitants.